With Charji EVO we’re giving you the ability to do things faster - when you read an email, send photos, check the news and do much more, anywhere, anytime. We’ve built the nation’s fastest wireless services network to help you get the most out of wireless Internet. 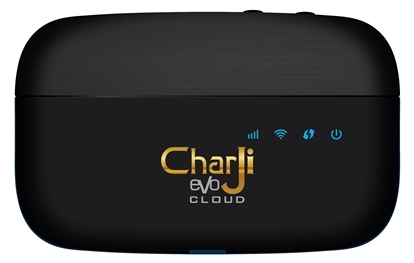 With Charji EVO get ready for a truly seamless connectivity experience; No wait, No buffer time, No lag - Charji gets you connected to your online world in seconds. Islamabad, Rawalpindi, Lahore, Karachi, Faisalabad, Multan, Gujranwala, Sialkot, Balochistan. ✔ Seamless Coverage in Islamabad, Rawalpindi, Lahore, Karachi, Faisalabad, Multan, Gujranwala, Sialkot, Balochistan, Azad Jammu & Kashmir. ✔ Low latency for improved service quality & a great gaming experience. ✔ Downloading huge files is a matter of seconds with your Charji EVO, so whether it’s fetching that heavy presentation or downloading a latest movie, everything happens in seconds! ✔ Experience super-fast HD video streaming; zero buffering time lets you stream like a dream. ✔ Play any game or download that latest movie in minutes with the break free speed of Charji EVO. For Azad Jammu & Kashmir Please Click Here. 2) Request a “Re-Subscription” and provide your device Mobile Directory Number (MDN). 3) Once the contact center confirms successful resubscription, please recharge the complete amount as per your package line-rent. Volume as per your current package is instantaneously provided with 30 days validity. Please note, if you have any remaining volume in your account at the time of resubscription, the volume will be lost. ✔ Offer is valid on both prepay and postpay bundles. ✔ 5 Gb Bucket for Rs. 500 available upon volume exhaustion on both prepay & postpay. ✔ Maximum of 2 Postpay bucket charges billed in monthly invoice per month. ✔ Unlimited number of bucket recharges on prepay.